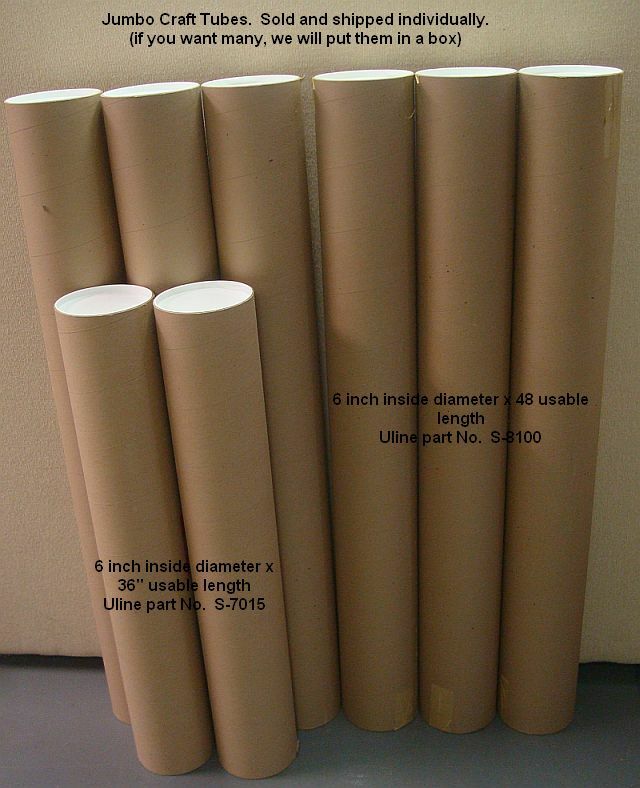 These Jumbo Craft Tubes (about 20 or so) have come to us through suppliers who send us glass tubes. They have travelled inside a larger box and are clean, undamaged and new. They cost about $8 a piece if you buy them from ULINE, S-8100 and S- 7015, but you must buy 50 at a time ! You can buy them here for $10 one at-a-time and you pay shipping. If you want more than one or if you do NOT want a UPS sticker on it, we will ship inside a larger box.